GREAT bag. I briefly considered one before eventually settling on the Lowepro Dryzone 200. Yours is slightly larger, but I wanted the waterproof feature. I've regretted it at times--yours is much better for hiking. 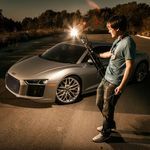 You'll change your mind when you start carrying around a FF body with a 300 2.8 (or 400DO) + TC attached. Beats carrying heavy equipment at your hip for long treks. I worry about unnecessary jostling in such a scenario. I also have smaller bags for regular use, but I couldn't give up my larger bag--it's GREAT for trips, when I just want to load up everything, whether or not I use any of it. I really have a problem leaving anything behind. Post edited over 4 years ago by treebound. Tamrac Expedition 5 bought locally via a posting on POTN here for under $100. More than sufficient for my current needs. 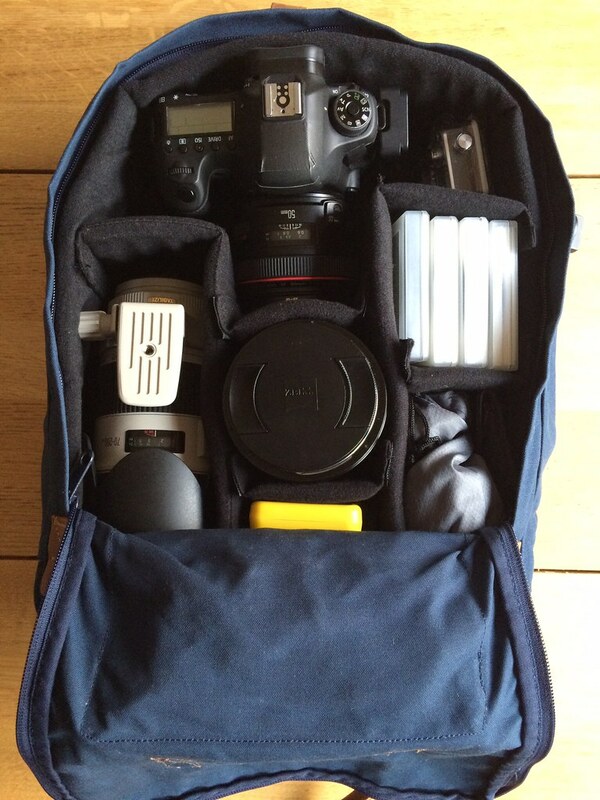 The smaller bag works for when I just take the camera and attached lens with room for a spare battery and the charger. 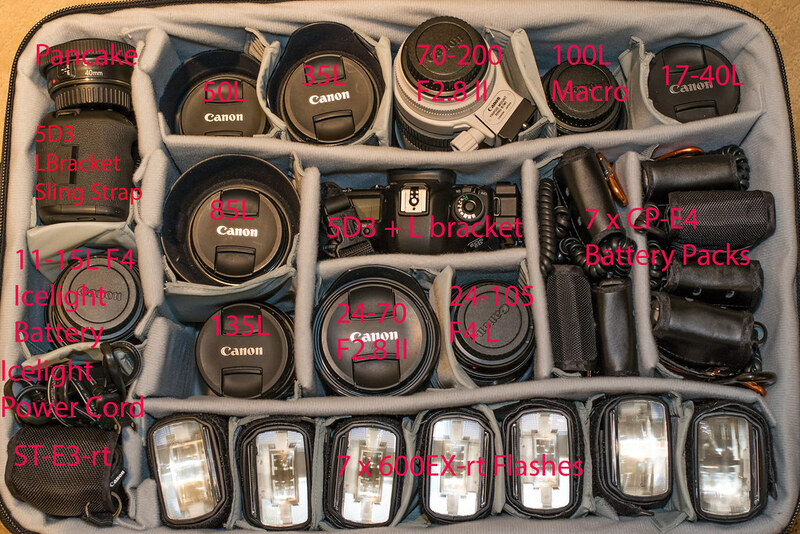 Eventually I want to get an F-Stop Guru or Loka, but I'm happy with this setup for now. A Tamrac Zuma 7, fully loaded with 2-light Speedlite and Rogue lighting modifiers, Zipshot tripod as light stand, 7D Mark II, 2 lenses, iPad, cables and misc. accessories. 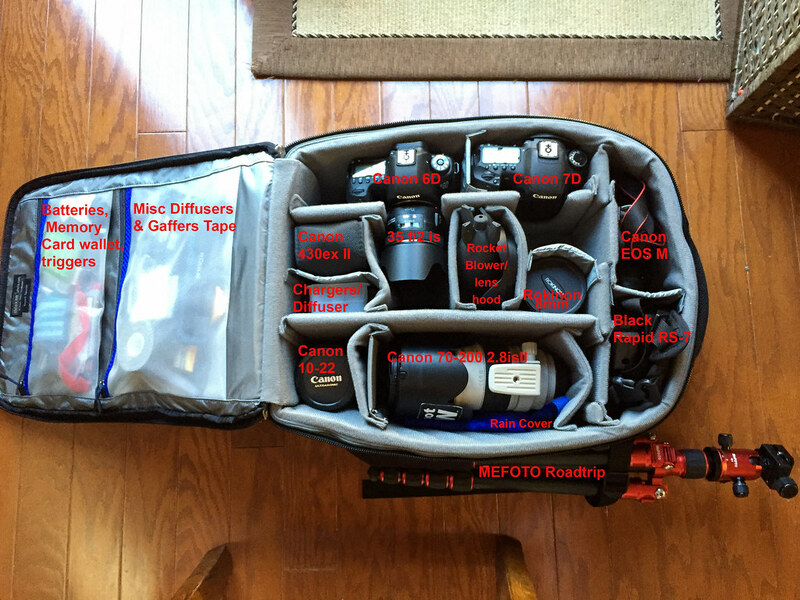 A carry-on portable foto studio for remote location shoot I'm doing next week. Post edited over 4 years ago by Hairylaury. Which one is that? I'm in desperate need of more space. There are a lot of bags in their Airport takeoff line it looks like. I love my meFoto roadtrip! Have you actually taken that on a plane? I brought my Lowepro Flipside 300 on as a carry-on, but I was hesitant to strap the meFoto to the back...just as a size concern. Post edited over 4 years ago by raksphoto with reason 'less clumsy phrase'. Your foto bag just reminded me. I once had my camera bag involuntarily checked on an airline after I boarded, due to cabin capacity. Only in the last minute of the last foto shoot on the last day of my international visit do I discover that in handling they bent my 35mm f/2L lens, right when I needed it for a candle-lighted set. Hence, to this day I never carry a lens mounted to camera body -- they are always dismounted, so there can never be torsion or flexing on the lens/body combination. Seeing your 35mm f/2 mounted on the 6D body made me wince in horror.